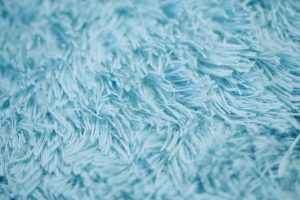 If you have children and pets, your carpet is likely to get dirty – that’s a fact. Dirt and stains on your carpet is not an issue, but how do you deal with them? What do you use to clean it up and leave your carpet smelling great? Well, chances are that you use a chemical which is of course not a bad thing, but they could be expensive and potentially harmful to your pets and children. That’s why we’re going to go over how to make your own DIY carpet freshener spray so that you can freshen up your floors, naturally. It is evident that making your natural diy carpet freshener spray is a walk in the park and to make it even more interesting, only a few ingredients are needed. All these ingredients are equally important, but baking soda is the most important. If wondering why we are prioritizing baking soda, the reason is that it acts as an all-natural odor eliminator to beat the smell on your carpet by taking it out of the air without necessarily putting chemicals in. You could be asking about the need of using distilled water when making the spray. Well, the distilled water is already purified so it’s easier to use and you’ll have nothing to worry about in regards to the safety and the source of water. Essential oils come in different types and you can choose the one you want based on your preferred scent. Besides providing natural scent, essential oils also help to deodorize and when you spray your carpet, it will smell great. If you don’t know the type of essential oil to use, we would recommend orange for its natural fresh scent, or lavender if you are looking for something that smells like fresh flowers. What’s the Need of Making Your Own DIY Carpet Freshener Spray? There are many reasons why people usually opt to make their own DIY carpet freshener spray, but the reasons that stand out the most is that it is a cheap and inexpensive alternative to toxic commercial fresheners. Also, it’s a good way to remove odors from your carpet naturally, and enhance the scent in your home. Besides carpet, you can use your natural DIY carpet freshener spray on couches, clothing, bedding and more. Your carpet is one of the major assets in your home. Without even realizing it, your carpet can get soiled rather quickly, which can result to it emitting a bad odor. If you’re looking for a remedy to that issue, we’ve come up with a guide on how to make your own DIY carpet freshener spray. All that you need is baking powder, distilled water, and any essential oils.